Part of our Standard Operating Procedure is documentation that all critical appliances are plugged in when leaving the job site. This prevents accidents. 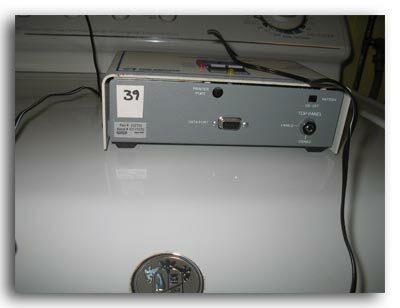 A visual system monitor, called a u-tube, monitors the vacuum inside the system and tells you that the system is working properly. The tops of the blue liquid should remain unequal. We mark the initial settings and a detailed instruction label in installed next to the u-tube. 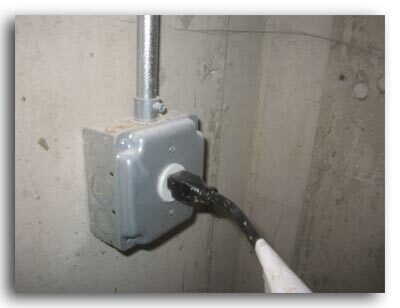 The visual monitor can be located on the main suction pipe in the basement or in the garage. The u-tube does NOT tell you the radon levels in the home. 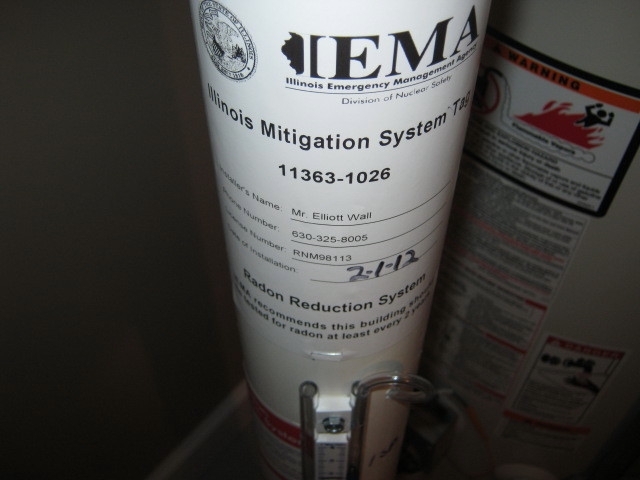 This is the IEMA sticker that is placed on all radon mitigation systems. The number is like a license plate for a car but is a license plate for your radon mitigation system. 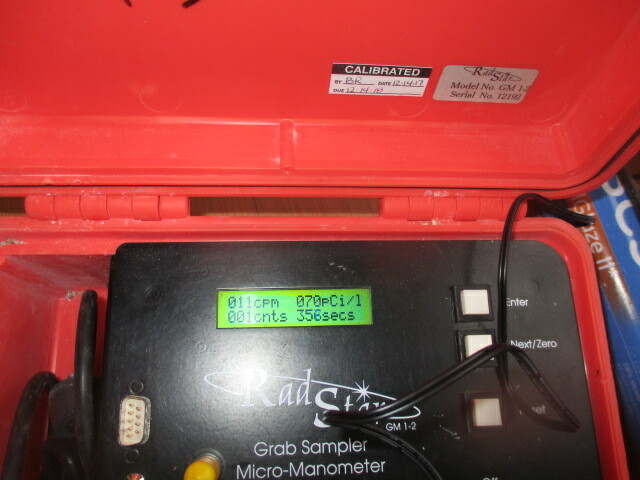 For an additional charge we can leave a continuous radon monitor to perform radon diagnostic testing to determine if the system is working properly. This is an exclusive procedure only offered by Elliott and Associates and is offered at an additional charge. Sumps and check valves must be properly working and have no signs of leaking prior to our arrival. We can provide this service for an additional charge. 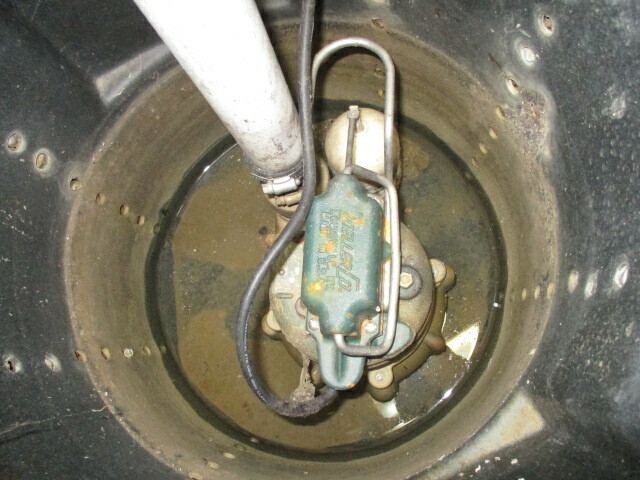 Prior to installation of the sump lid cover, a visual inspection is performed of the general conditions of the sump pump system. 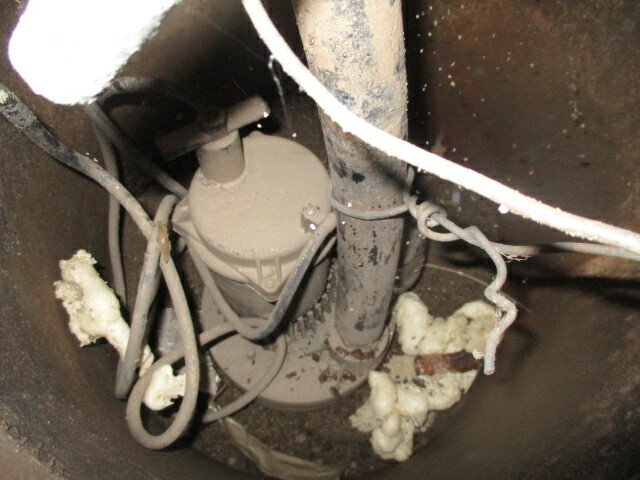 This photo shows that a component of the pump is too close to the side wall of the pit, potentially preventing the system from operating. We notify the homeowner of the condition so that it can be repaired before we seal the pit. 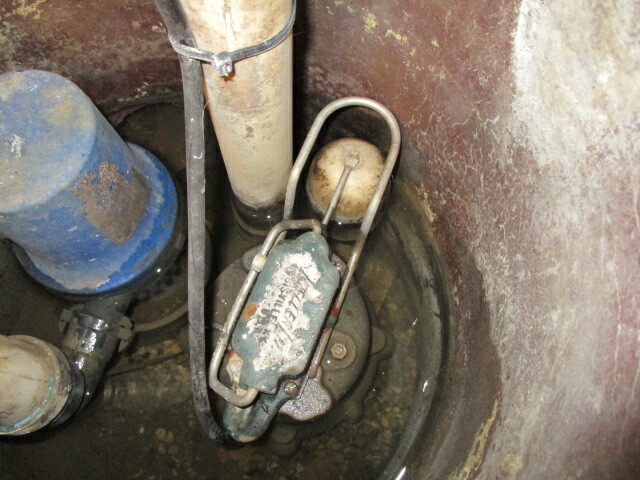 The photo is a good representation of a property positioned groundwater sump pump and a relatively clean sump pit. This sump pit has debris that should be removed as part of normal maintenance of the sump pit. Also, modifications have been performed to the sump pump that are not according to manufacturer specifications. 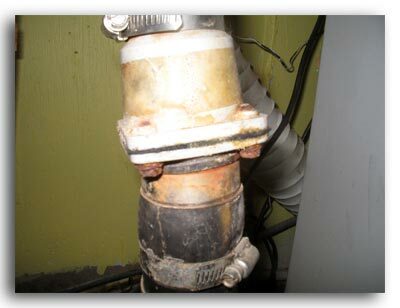 We notify the homeowner of these issues so that they can be repaired before the sump pit is sealed. 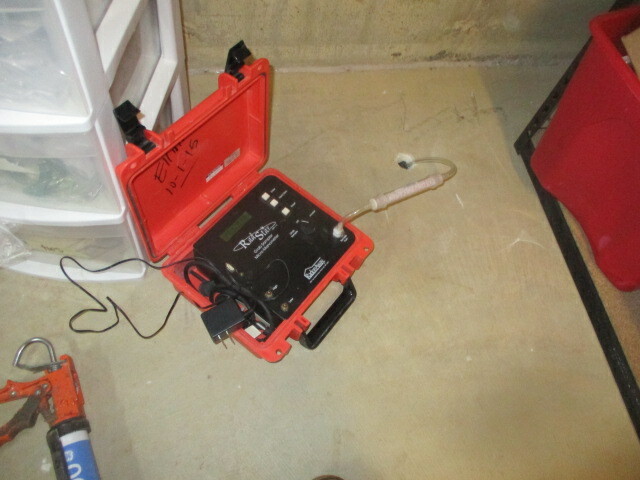 This machine, called a grab sampler, is specifically designed to aid in the installation of a science-based radon mitigation system. This machine is capable of collecting radon concentrations and negative pressure tests under the slab at each monitoring port. We can collect several radon concentrations from under the slab to help identify the highest concentration of radon and compare it to other areas of the home. Using this equipment gives us immediate feedback on the success of the system and helps the technicians to make any fine adjustments to increase the strength of the system. 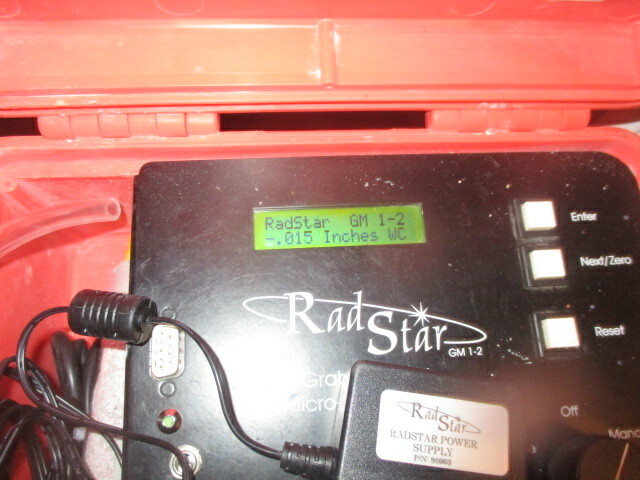 The digital display indicates that the radon levels at this monitoring port are at 70 pCi/l. We take readings at multiple areas of the home to aid in the design of the radon mitigation system. 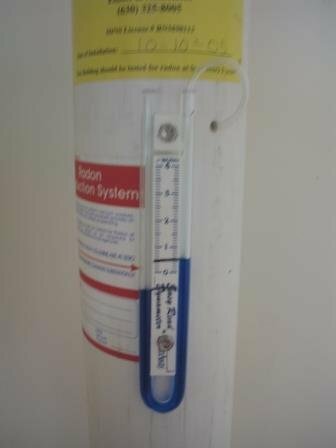 The digital display indicates that there is significant negative pressure, confirming a successful radon mitigation system. As part of our radon mitigation system installation we perform pressure field extension (PFE) testing along with radon grab sampling underneath the home. 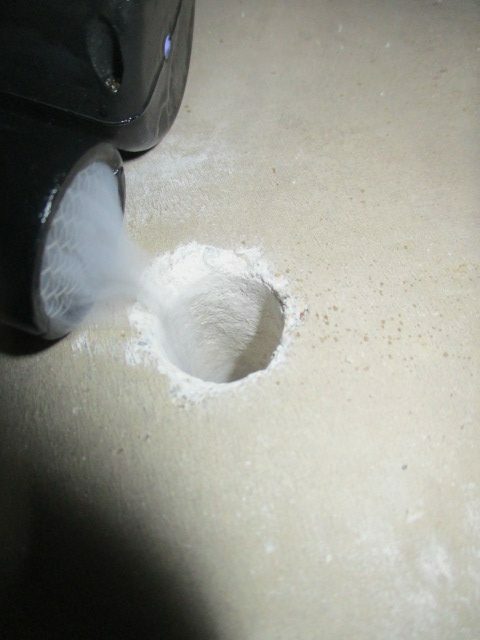 This photo shows a qualitative test (smoke) that is being drawn into the small hole (monitoring port) showing negative pressure which certifies that the radon system will be successful. This diagnostic process will save our clients money and eliminate unnecessary suction points, protecting the value of the home. 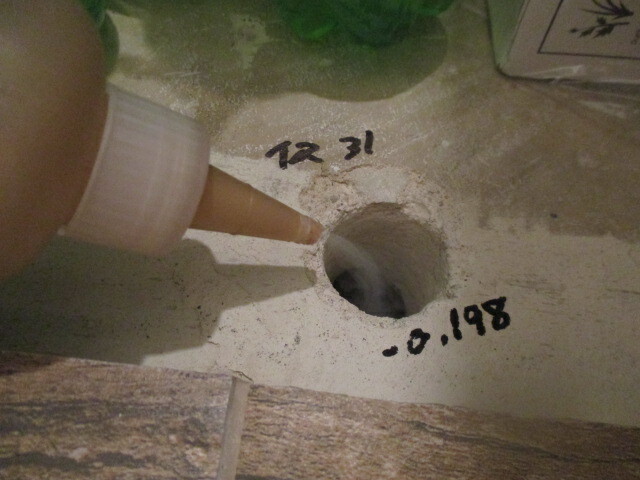 This is a picture of post qualitative PFE testing confirming a minimum negative pressure of at least 0.0003 W.C. This certifies that the system is meeting minimum negative pressure tests. This confirms that the system is working. 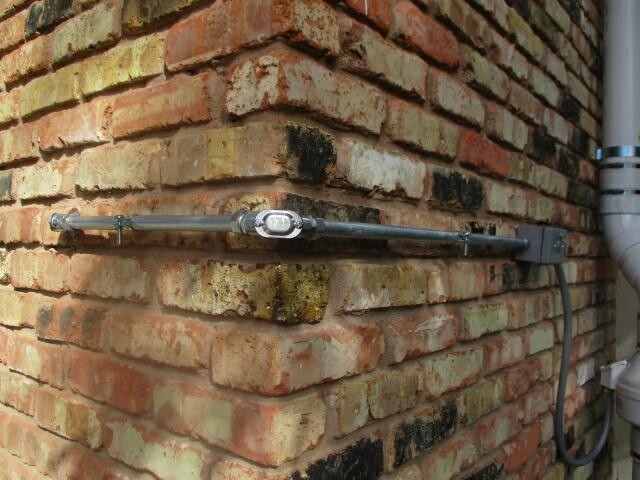 This creative solution put electrical conduit on the outside so that drywall in the finished basement would not have to be repaired, saving the client money.